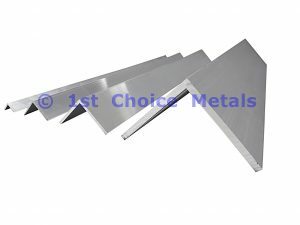 The 2000 series grades of are known as the copper grades of aluminium, as copper is the main alloying element. The addition of copper increases the alloys strength and hardness, which in turn improves its machinability. The two most common grades in this category are 2011 & 2014, with grade 2011 being known as the free machining grade of aluminium. Grade 2011 is a high performance, high strength aluminium alloy. Grade 2011 is usually supplied in round bars. Known as ‘free machining aluminium’ due to its excellent machinability, it is particularly suited for high speed CNC machining as it forms small chips which are easily removed. If you require medium or high strength aluminium supplied in plate form that is suitable for machining, then please see grades 6082 & 2014. Please contact us with you enquiries for grade 2011 aluminium. In comparison to other commercial grades of aluminium, grade 2011 has poor corrosion resistance. Parts that are manufactured from grade 2011 alloy are often anodised in order to help protect the surface of the metal. Should the extra strength of grade 2011 not be critical, then grade 6082 which has excellent corrosion resistance should be considered. Grade 2011 aluminium is not suitable for welding. Should the extra strength of grade 2011 not be critical, then grade 6082 aluminium alloy which has excellent corrosion resistance should be considered. Grade 2011 aluminium is not suitable for cold forming / bending. Grade 2011 aluminium is suitable for protective anodising & hard anodising. If colour anodising is required, only dark colours should be considered. 2011 aluminium alloy is unsuitable for bright anodising, however it is perfectly suited to powder coating. 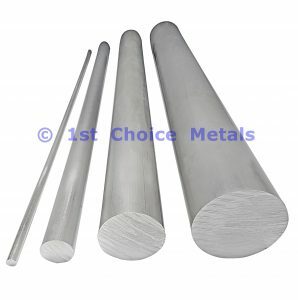 Grade 2014 is a high strength aluminium alloy, supplied in bar and plate form. It has excellent machinability and is often interchanged with grade 2011. Please contact us with your enquires for grade 2014 aluminium. In comparison to other commercial grades of aluminium, grade 2014 has poor corrosion resistance. Parts that are manufactured from grade 2014 alloy are often anodised in order to help protect the surface of the metal. Should the extra strength of grade 2014 not be critical, then grade 6082 which has excellent corrosion resistance should be considered. Grade 2014 aluminium is not suitable for Inert gas or oxy gas welding, brazing or soldering. It is however, suitable for resistance, spot & seam welding. Grade 2014 in T6 temper is not suited for cold forming or bending. The chances are success are increased if the work piece is heated. In T4 condition, grade 2014 is suitable for some cold forming, however tight bends are not recommended. Grade 2014 aluminium is suitable for protective anodising & hard anodising. If colour anodising is required, only dark colours should be considered. 2014 aluminium alloy is unsuitable for bright anodising, however it is perfectly suited to powder coating. If you have any problems with the functionality of this site, please bring it to our attention by entering the details below so that we can we can get the issue resolved ASAP.